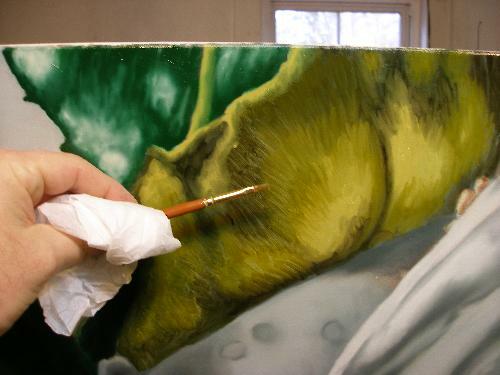 How to paint roses, a great demonstration! 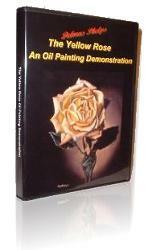 The good stuff in how to paint roses, a great demonstration. Home > Tips from my Easel. > This little page! How to paint roses you ask? Well, there are a number of demonstrations already on the site, but I needed to add this latest as part of an answer from a customer concerning dew drops. 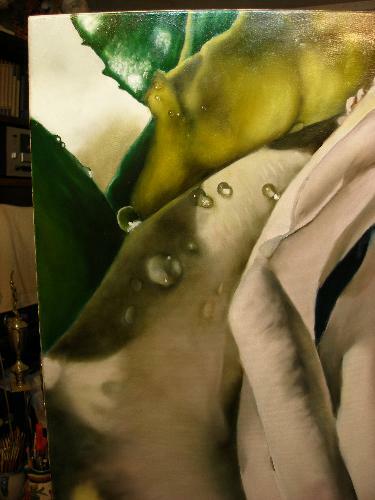 As you see, in this painting, there were a lot of dew drops. I won't bother with the preliminary stuff on how to get to this point, again, the toning of the canvas, umber under painting, and gray layers are discussed in detail elsewhere. Lets start where things really get exciting! Here we are at our gray layer. You'll see there are some dew drops already started. 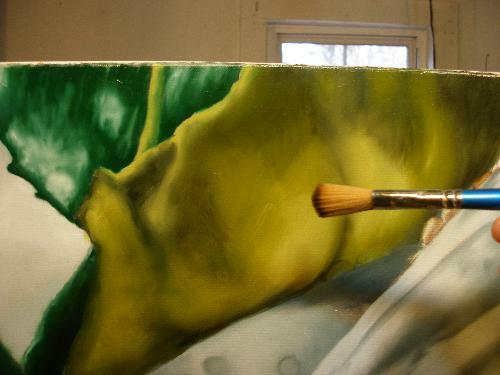 These are large features that I felt needed to be added early to get a feel and balance within the work. 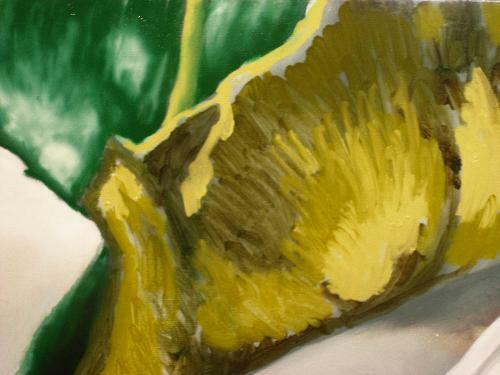 Starting into the color layers, I have done some of the background leaves, and am starting on a middle area leaf. The background leaf has much more blue in the mixture. These leaves are right against the petals, or may be considered part of the last petals. I'm not a plant specialist, but I'm sure there is a specific name for this part of the blossom. I just try to paint what I observe. The greens here have much more red and yellow in them. 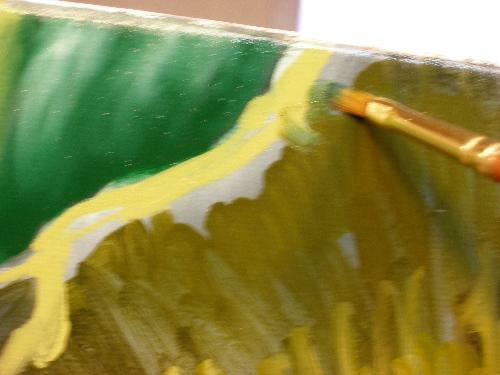 I begin to use a small/medium sized brush to blend this initial color that has been laid in. 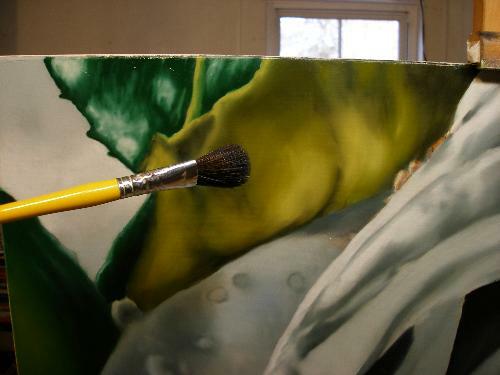 We then can begin with a larger dry blending brush to smooth away the brush strokes. This really is hard to show from still photo's and even in my e-book it can be difficult to understand the movement of the hand and wrist to accomplish this. The best way is to actually see it! Which is why I have a DVD now. Below are the 2 different sized mop brushes I use for this blending procedure. 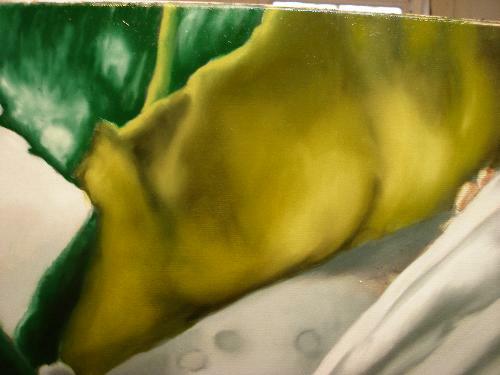 After a great deal of blending, (sometimes this takes longer than applying the paint to the canvas), I think we are ready for some special features. 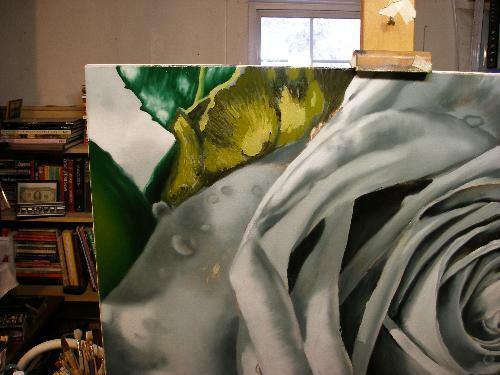 In this "how to paint roses" demonstration, I've got some more great photo's of the process on the next page. You'll see how I've done a few of these sparkly additions to the painting. 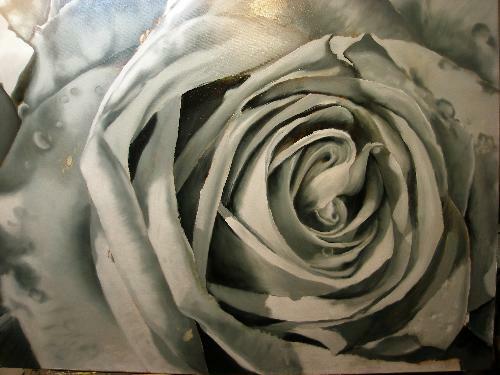 Of course, if you like to learn how to paint your own rose, check this out. Did you enjoy, or learn something from this page? Why not create some good Karma, and pass it on? Face book like us, Pin the images you love, or Google + and let others feel the warmth!